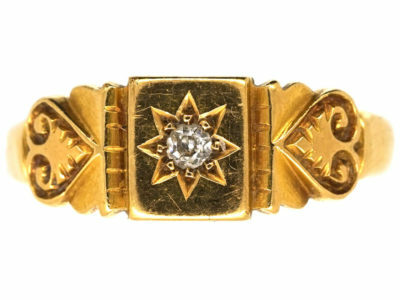 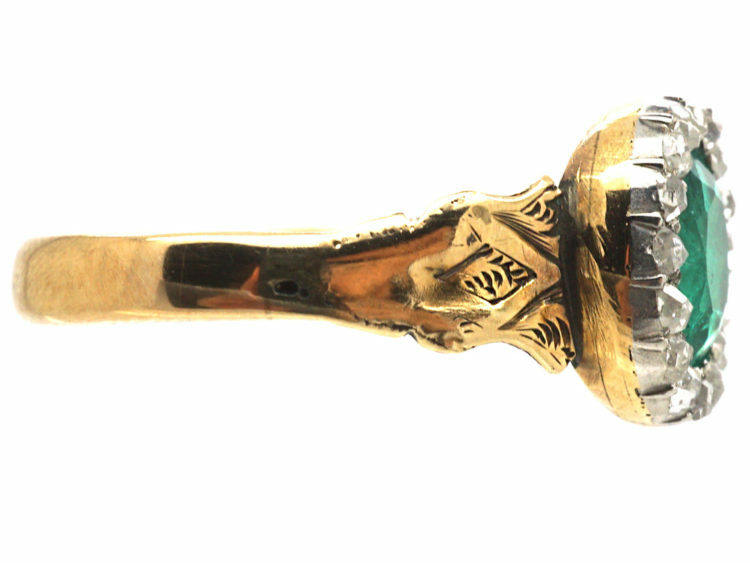 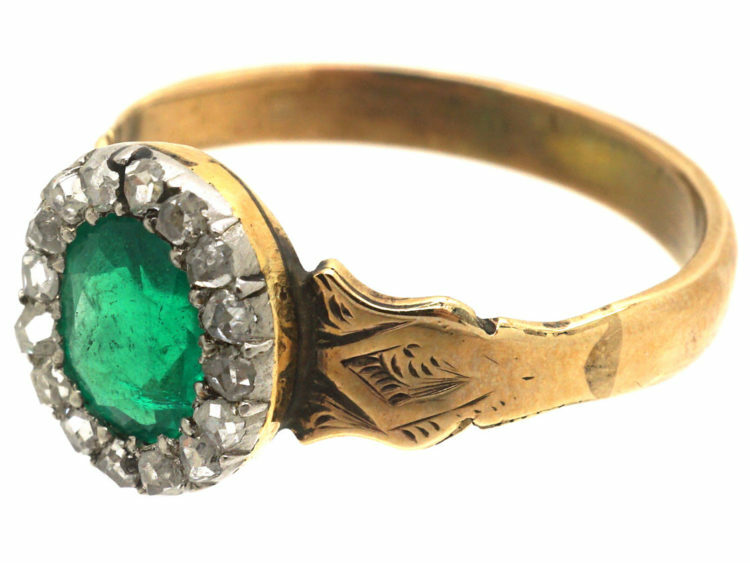 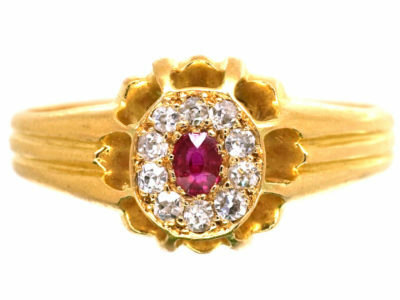 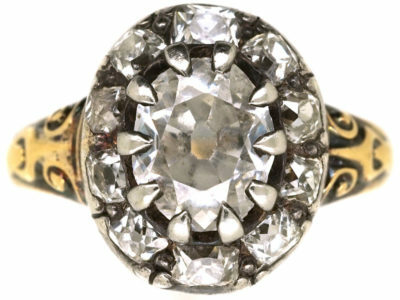 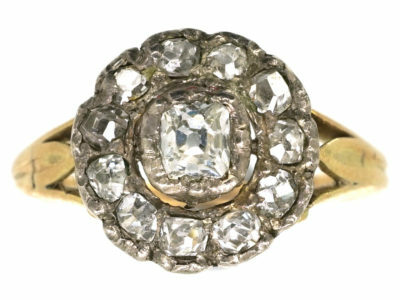 A lovely 18ct gold ring that was made circa 1850. 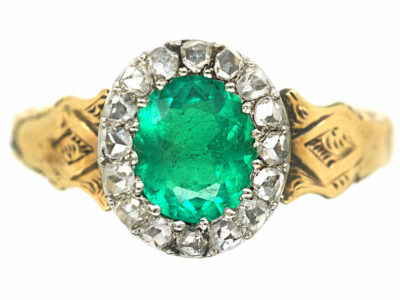 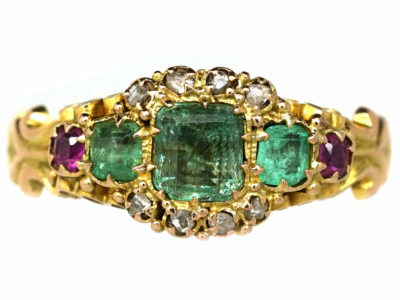 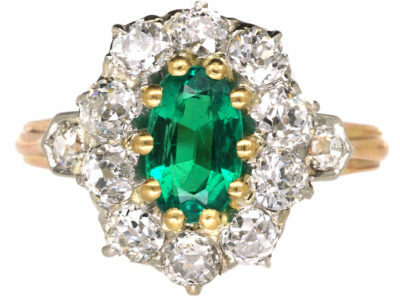 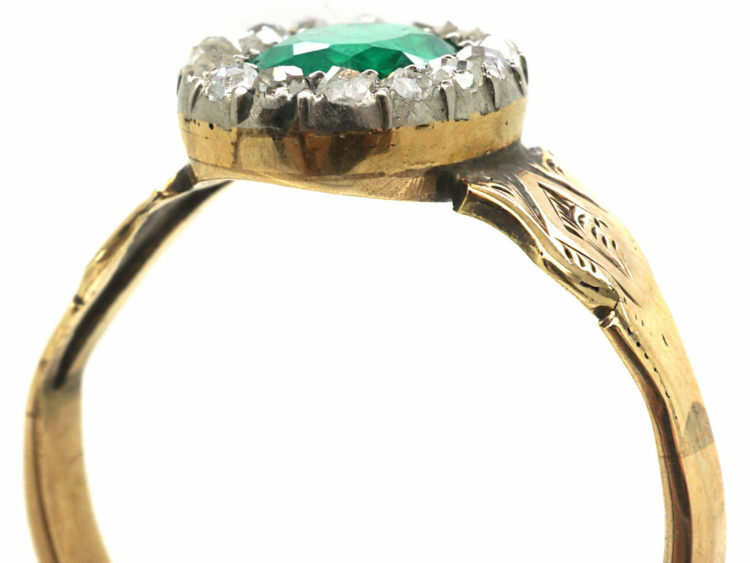 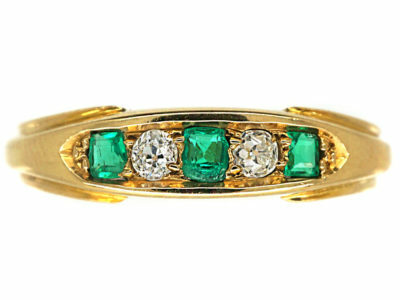 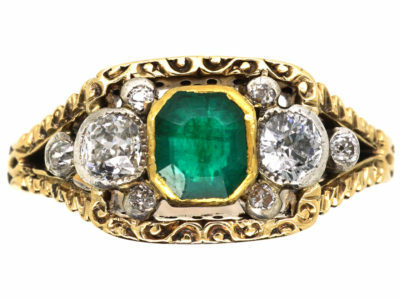 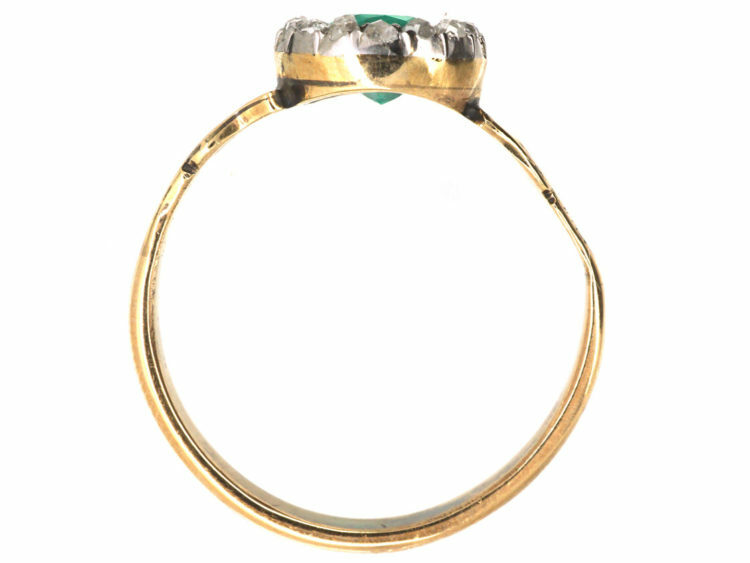 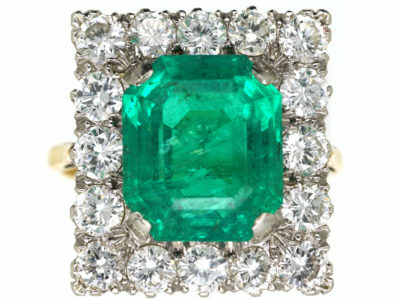 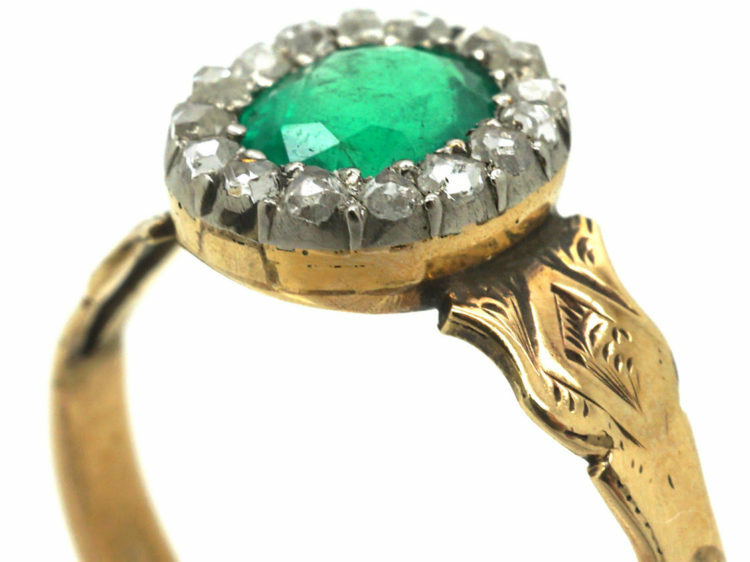 It has been set with a beautiful natural oval emerald with small rose cut diamonds around it. 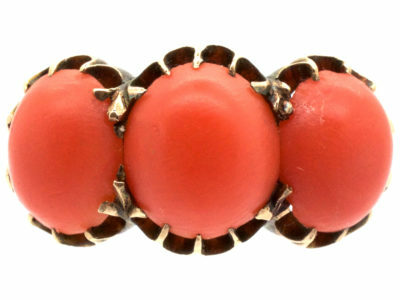 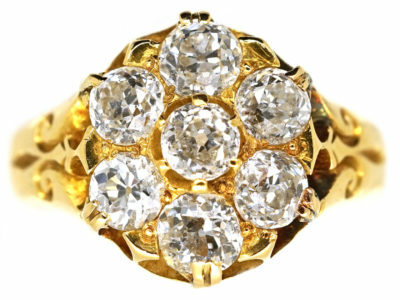 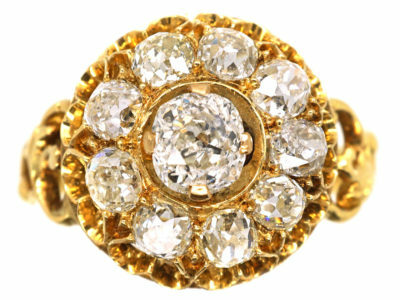 It is a charming ring and would make a pretty engagement or dress ring.